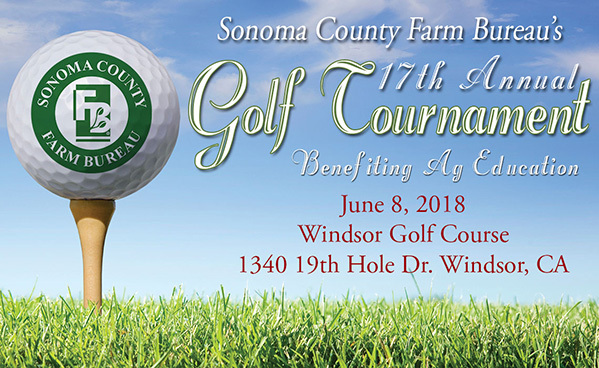 Join us June 8, 2018 at Windsor Golf Course for SCFB's 17th Annual Golf Tournament benefiting ag education! The proceeds from this tournament support a wide array of Agricultural Education Programs which include Ag Days, scholarships, 4-H and FFA programs, Agriculture in the Classroom, Young Farmers & Ranchers, Farm Bureau Institute, Summer Ag Seminar & many more. Descriptions: Scramble Format: Includes lunch, dinner, tee prizes, carts, range balls, green fees & beverages on course.